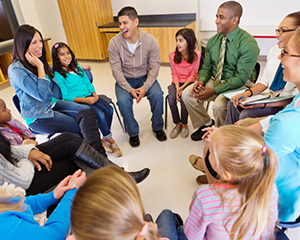 According to 2009 studies by PISA (the Program for International Student Assessment), parents who volunteered in their kids’ extracurricular activities had children who performed worse in reading, on average, than parents who did not volunteer, regardless of socioeconomic background. 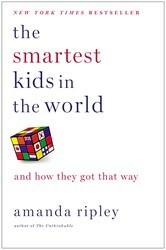 The author of The Smartest Kids in the World, Amanda Ripley, explains. One possible explanation might be that the parents who were volunteering were more active precisely because their children were struggling at school. And it is possible that their children would have performed even worse if the parents had not gotten involved. Then again, maybe the volunteering parents were spending their limited time coaching basketball and running school auctions, leaving less energy for the kinds of actions that did help their kids learn.By contrast, other parental efforts yielded big returns, the survey suggested. When children were young, parents who read to them every day or almost every day had kids who performed much better in reading, all around the world, by the time there were fifteen. It sounded like a public-service cliché: Read to your kids. Could it be that simple? Yes, it could, which was not to say that it was uninteresting. After all, what did reading to your kids mean? Done well, it meant teaching them about the world—sharing stories about faraway places, about smoking volcanoes and little boys who were sent to bed without dinner. It meant asking them questions about the book, questions that encouraged them to think for themselves. It meant sending a signal to kids about the importance of not just reading but of learning about all kinds of new things. As kids got older, the parental involvement that seemed to matter most was different but related. All over the world, parents who discussed movies, books, and current affairs with their kids had teenagers who performed better in reading. Here again, parents who engaged their kids in conversation about things larger than themselves were essentially teaching their kids to become thinking adults. Unlike volunteering in schools, those kinds of parental efforts delivered clear and convincing results, even across different countries and different income levels. How Do Other Countries Create “Smarter” Kids? In a handful of nations, virtually all children are learning to make complex arguments and solve problems they’ve never seen before. They are learning to think, in other words, and to thrive in the modern economy.